I slogged through the transcription with little interest, intrigued by unfamiliar words, such as proletariat, plebian, capitalism and socialism, understanding very little. These words came back to me in class 10, when I read the NCERT books by Arjun Dev that referred to Marx and the Russian Revolution. In a couple of years, I was to begin a journey that isn’t quite finished. During my student years where I was supposed to study electrical engineering, I spent more time poring over the works of Marx and Engels, Lenin and later Trotsky. It took me and my comrades many months to get through the intricacies of the first three chapters of Das Capital and a few years to read through the essential writings that included The Economic and Philosophical Manuscripts, The Eighteenth Brumaire Of Louis Bonaparte, Anti- Duhring, The Peasant War in Germany and The German Ideology, among others. Between Marx and Engels, the sheer range and depth of subjects, while satisfying our inquisitiveness, also created the urge to read and understand more. What appealed to me in the beginning were the explicitly political and polemical works, followed by the philosophical that needed a more robust stamina and finally, the even more complex works on political economy. As communist USSR collapsed and I too retreated from student activism to a mundane job, so did my intensity in reading original works. 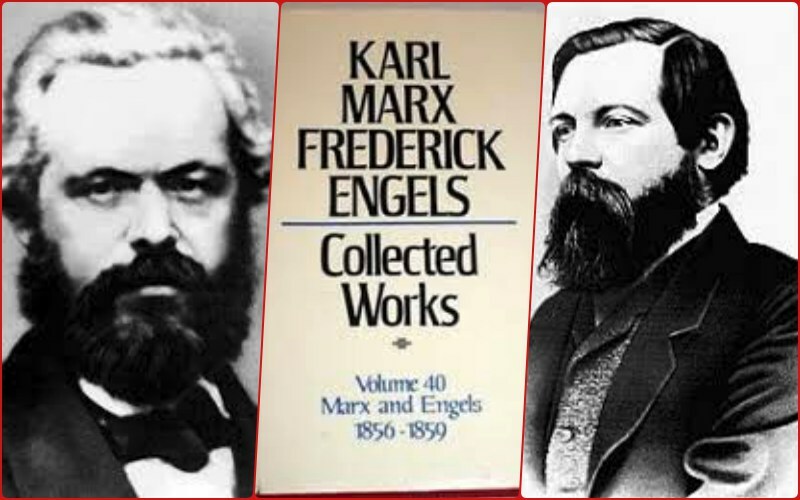 It was a touching reminder when a friend who I connected with after a couple of decades asked me how far my project of reading the collected works of Marx and Engels had progressed. But Marx, and to a lesser extent Engels, provided not merely a philosophy of the world and how to change it, but to the young men and women of my age, also a philosophy of life and how to live it. The work that instantly comes to mind is an essay Marx wrote as a young man of 17, titled Reflections of a young man on the choice of a profession. Marx’s youthful idealism resonated with us who were at a similar age. Later in life, experience and cynicism sometimes dimmed the appeal of his words, often to come back reassuringly. At the end of the day, it had little influence on the choice of my primary vocation that was dictated by practical prudence, but it provided me with an abiding moral underpinning and a sense of solidarity with the underdog. Marx’s own subsequent life did not swerve from his youthful and poetical idealism. During his lifetime, “The Red Terror Doctor,” as he came to be called, was little known, much less read, and still less understood outside a small circle in his own age. Life bestowed him with poverty and a lack of recognition, which probably often made him vituperative towards his ideological opponents. While it is tempting, as Isaiah Berlin did in his biography, to see Marx’s life as being identical to the history of 19th century socialism, when one looks beyond his works, into his life as a person, Marx emerges as a man who loved his family, loved a drink or two, smoked incessantly, chased his opponents with vehemence, was a voracious reader, an assiduous scholar and above all, a revolutionary. He married his childhood sweetheart and five years his senior, Jenny Westphalen, adored his daughters and in old age was a man who missed the company of his grandchildren when they weren’t around. At a different plane, his lifelong friendship with Frederic Engels – a bond that both men cherished until the end – is touching and possibly unsurpassed. What did Marx learn at the end of his life about living? We don’t know if he went back to his essay of youth to compare how he had fared to the high ideals he had set out with, but it might be helpful to recount an incident in lieu of an answer. This was an extension of what Marx had emphasised as the key to social change – the struggle between classes, as applied to the life of an individual. His words echoed in this interview, like his works, sound relevant as much today as they were in the 19th century, whose greatest mover and shaker he was. Bhupinder Singh is a blogger at A Reader’s Words.